Blockchain | AI | IoT | CyberSecurity EXPO is a conference that every tech specialist deep down really wants to attend. We made our experts’ dream come true, and now they’re sharing their impressions of visiting the event. The event unites the flagships in Blockchain, IoT, AI, CyberSecurity and business representatives who have already applied these technologies. The conference is held annually in three stages: Global (London, UK), Europe (Amsterdam, the Netherlands) and North America (Santa Clara, USA). This year our specialists attended the exhibition in North America. The conference was held at the Santa Clara Convention Center. Three large expo halls allowed launching 7 simultaneous streams with access for all participants. Other rooms hosted 6 parallel flows for participants with paid passes. The size of the conference is truly impressive. However, the infrastructure was cozy and understandable, so no one got lost. 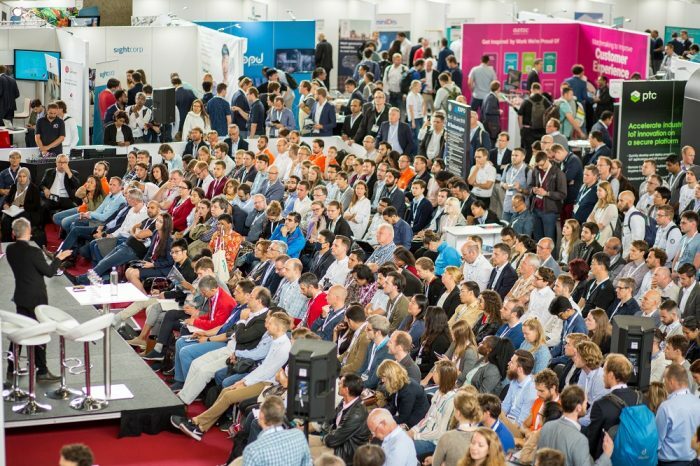 Most exhibitors presented solutions in the field of IoT, AI, Big Data and their various combinations; Blockchain and a new branch, CyberSecurity, that appeared at this conference for the first time, were presented less than others. Most of the participants presented solutions for factories and industrial issues. Despite the fact that modern production mechanisms are equipped with sensors that track hundreds of work parameters, the task of predictive analysis – to avoid production downtime – remains relevant. Some exhibitors offered sensors for production, others – platforms for collecting and analyzing data. There were also those who offered an integrated approach – to synchronize with the sensors that are already in production (obsolete models with missing sensors), and collect indicators in real time and connect the AI models to determine anomalies and make recommendations on how to prevent problems before the mechanism fails. Different companies presented solutions from Japan and South Korea. Companies from Japan demoed technologies for individual use – for example, sensors in the soles of sneakers, which allow you to track training results in real time and make recommendations for achieving your goals, or solutions for tracking the rehabilitation process when data is transmitted to your doctor, who can correct program, evaluating the individual progress of each patient. At the same time, representatives from South Korea focused more on smart home solutions. For instance, they presented “smart” curtains that can be controlled with a smartphone – change their position and adjust the transparency depending on the illumination outside. Another interesting direction in IoT is an attempt to minimize power consumption using sensors. PsiKick introduced low-power sensors that operate without a battery from various sources of energy, including solar, thermal gradients, vibrations, and radio waves in the room. In the same direction, uBeam presented solution in the field of energy transfer to various devices (sensors, smartphones, laptops) using ultrasound. With the help of patented transmitters and receivers, uBeam can provide the necessary power to charge a range of devices from portable electronics to IoT sensors at various distances. In September 2018, Windows announced that Azure services now allows generating AI-models. In the meantime, the Ople team has been offering their solutions in the same sphere for the second year already: it is possible to load their training and test data, configure the optimization parameters and run the model generation. The system automatically applies function design methods, launches industry-leading algorithms, learns from the results of these tests, and generates a custom final AI model. It only remains to use the generated model with the RESTful API for its own purposes. The question of medicine availability is one of the most significant tasks facing modern society. The mobile application, introduced by the company WaCare, uses NLP, Big Data, AI and Machine Learning to more accurately predict the risks of the patient’s health. It builds an Individual Risk Prediction profile with the help of AI-models, the rules of which are based on data from scientific journals in the field of health protection, clinical treatment protocols and analysis of personal and medical records about the patient’s health. The Machine Learning tool then identifies personal behavior patterns, generates health dashboards, and corrects potential health risks. If the risk exceeds acceptable values, the application gives the user recommendations on how to reduce the risk. NLP (Natural Language Processing) in conjunction with the AI model, by analyzing search queries, determine the most disturbing user health issues and offer qualified doctors and relevant reliable information resources. In addition, the application has the ability to add relatives and friends to trusted circles, share with them information about your health and organize competitions in various kinds of activities. The first association that occurs with the word Blockchain is cryptocurrency, but the technology itself is not limited to this alone. The company DOC.com expanded the scope of telemedicine services using blockchain, and now you can get a consultation from a doctor 24/7 simply by having a smartphone in your pocket. During the initial treatment, the patient fills out a form where he notes the symptoms that bother him. Further, this information is processed by certain AI-algorithms, which select the right doctor for the patient using the existing database of patients (location, language) and the doctors’ data (specialization, rating, history of counseling). Consultation is provided free of charge and is supported by doctors in 20 countries. For each consultation, the doctor receives remuneration in the form of internal tokens, which he can spend on related services to gain access to training materials, real-time statistics on the epidemiological environment, and impersonal patient data. Patient data, statistics and referral history are supported by Blockchain technology. A good example of combining the two technologies is protection against counterfeit in the field of top-rated products. Alexander Koppel (Riddle & Code) shared an example of how a chip is installed in the exclusive watches. Information from the chip is read at each intermediate delivery point and is recorded in the blockchain. The recipient can track this whole chain and be sure that he received exactly what he ordered. “Sherlock Holmes” in the world of counterfeit expensive wines, Maureen Downey, from the Institute of Masters of Wine, told about how special sensors are used in the production of wines. They are installed on the lid of the bottle and monitor whether the temperature was violated, whether there were flooding bottles, as well as ensure that it is impossible to reuse this bottle without damaging the sensor. During installation, a QR code placed on the bottle is generated, and the data is recorded in the blockchain. The customer, having scanned the QR code, can be sure that his bottle is all fine. At the same time, several exhibitors presented their solutions in the field of decentralized identification. Hyperledger presented the project Hyperledger Indy, which is still in the incubation stage. Blockpass and VerySmart demonstrated their solutions that could be downloaded and tested. However, each of the presented solutions requires that those who request identification (administrative agencies, banks, mobile operators, etc.) also install software components that can interact with the distributed registry. In this direction, companies offered consulting services to analyze the security profile of companies and provide recommendations on how to reduce potential threats. For example, the InfraGard Members Alliance from San Francisco, a partnership between the private sector and the Federal Bureau of Investigation (FBI), was created to encourage the exchange of information between the government and InfraGard members. All interested residents of the United States were invited to join this alliance. Most companies present on the event specialized exclusively in information security issues, but there were also those (for example, CISCO, SAS, IBM), for which information security is only one of many R&D areas. This was the first time CyberSecurity appeared in the exhibition, and in the future, this area is expected to expand. To sum up, this was the largest conference, where those, who actively develop IoT, AI, Big Data, Blockchain and CyberSecurity, and those, who use these technologies in practice, came together. It was nice to see that business has developed an understanding that a single technology does not guarantee success, that technology is a tool that produces results only when processes are established, when there is an ecosystem into which this tool fits, and there is a willingness to change. At the same time, technology develops not in a vacuum, and there are more and more responses to real business needs. 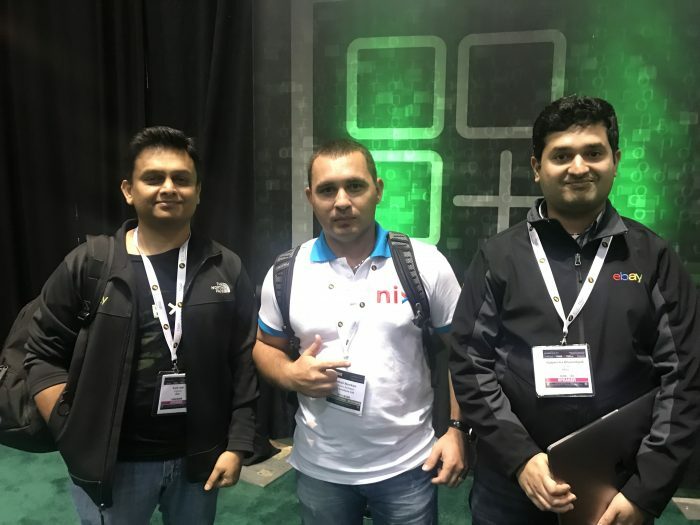 Companies like NIX Solutions know exactly how to properly apply the necessary technology to achieve the aspired to goals!